Many people believe that sowing lawn seed is the best way to a new lawn due to the expense of laying turf however that’s not necessarily true. 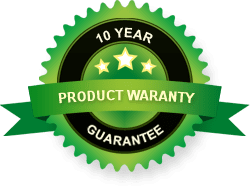 Over time the increased maintenance and repair costs of a seeded lawn outweigh those involved in a turf lawn – and a newly laid turf lawn looks fantastic straight away! Are you still undecided on which option to choose? There is no special care involved with turf since it is already a healthy and mature lawn plant. Just maintain usual lawn care of watering, mowing and fertilising and you’ll have a healthy lawn to enjoy for years to come. The establishment time for turf versus seed is next to nothing. Within weeks a turf lawn is fully established and ready to be enjoyed. Lawn turf can be utilised practically anywhere even in places that seeding would be a fruitless exercise or at the least a very expensive and ongoing exercise to become established. Turf will immediately help to stop soil erosion and water run off pollution and is particularly good for sloping areas where rain would usually cause soil and seed to be simply wash away in the first heavy downfall. 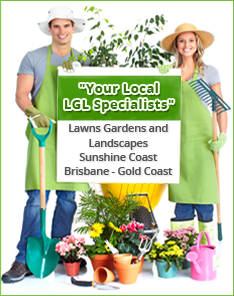 Turf can be laid at any time of the year, especially in South East Queensland, so there’s no need to wait for the right time to get your new lawn. Within a matter of hours your yard can be transformed from bare soil to a healthy green lawn if you choose to lay turf. Not only will this add value to your home, it will add to the aesthetics and even reduce heating and cooling costs with its built in environmental benefits. In today’s fast-paced world and current economic climate everyone is carefully considering all their choices when it comes to making any improvements to their home. A lawn is a valuable asset to any home and with turf you can save time and money rather than sowing seed, waiting and hoping it becomes established and spending more money over a longer period of time to maintain the plants from seed. With turf from a professional and accredited turf farm you will be assured of a healthy lawn from the very beginning. If you’re looking for a professional and experienced team to lay turf at your place or even just provide the turf for you to lay yourself, contact the team at Daleys Turf.